We are delighted to announce that we have won the Haute Grandeur Global Hotel Awards 2017! 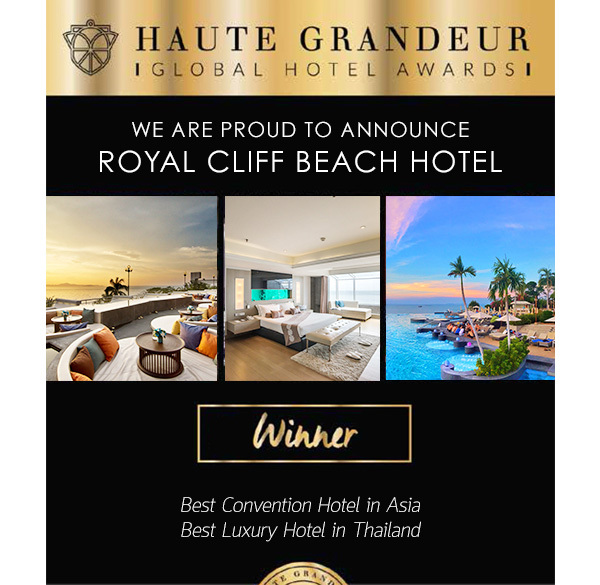 Receiving these two awards is a true source of pride for our entire team at the Royal Cliff Hotels Group. We are honored to have this remarkable vote of confidence to our service quality and excellence from our guests. Your continued support means a lot to all aspects of our hospitality as we take great pride in everything that we offer. We are grateful to our wonderful guests and partners who took the time to give us a favorable rating online. Thank you for appreciating our continued commitment to exceeding guests' expectations and service excellence. We dedicate these two awards to you who continually inspire us to always go beyond the norm and make extraordinary experiences happen. As we strive to continue to be worthy of this prestigious recognition, we hope that you remain a part of this exciting journey with us. We look forward to welcome you to the Royal Cliff Hotels Group soon! There are certain expectations that go with being a luxury hotel. From exceptional service, first-rate facilities to food safety, no detail is overlooked to ensure a memorable experience for all our guests. Make sure that every hotel you stay in always takes into account your safety, security and well-being as we do right here at the Royal Cliff Hotels Group! To ensure your perfect stay, we have paid attention to every detail involving both our exterior and interior security detail. Starting from when you enter the property's main gate, you might notice that every vehicle is subjected to a thorough search upon entry. A high standard security control room and well-trained security guards patrol the entrance and the hotel area 24/7; therefore, guests feel absolutely safe at all times. Walking into your luxurious accommodations, apart from the stylish design and convenient layout, you can be sure that everything is clean and comfortable. We have an efficient and professional housekeeping team who ensure the cleanliness of your room. As your health and safety are always our top priority, we also utilize an efficient and effective pest control service to reduce the risk of unwanted pests and keep your rooms clean and secure as well as ensure continuous zero infestation of any kind. You might have heard praises about our fantastic dishes in our 11 multi-award winning restaurants. We are proud to have been certified with the Food Safety Management certificate which is issued in conjunction with ISO 22000 accredited by the British Standard Institute. We have also implemented good manufacturing practice and a Hazard Analysis and Critical Control Points (HACCP) system according to the Codex Recommended International Code of Practice - General Principles of Food Hygiene demonstrating our commitment to achieving high quality standards on an international level. 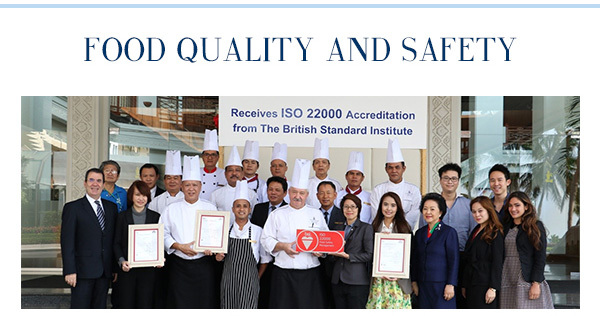 The accreditation makes Royal Cliff a Food Security Management audited and certified organization and is one of only a few hotel properties in Thailand to receive this prestigious accreditation. 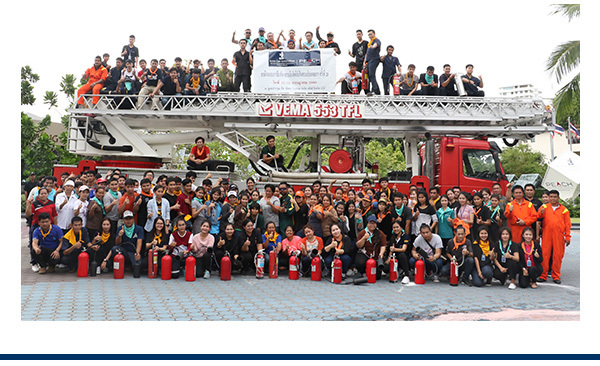 As we take our guests' safety seriously, a workplace fire safety training and emergency response program is conducted at the Royal Cliff every year. Employees from various departments are selected to join educational and comprehensive exercises that teach them the importance of being prepared for fire emergencies. 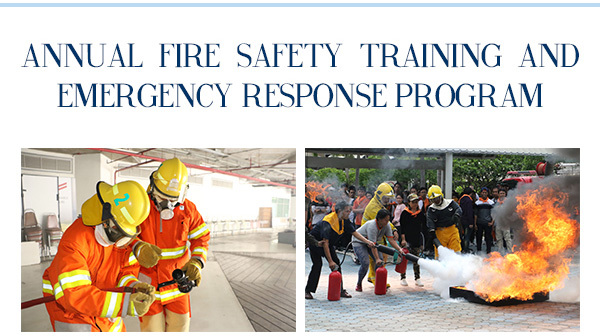 The program includes sessions covering the fundamentals of fire, hazard recognition and prevention along with an introduction to firefighting equipment. Basic first aid needs with other life saving techniques are also taught and demonstrated. 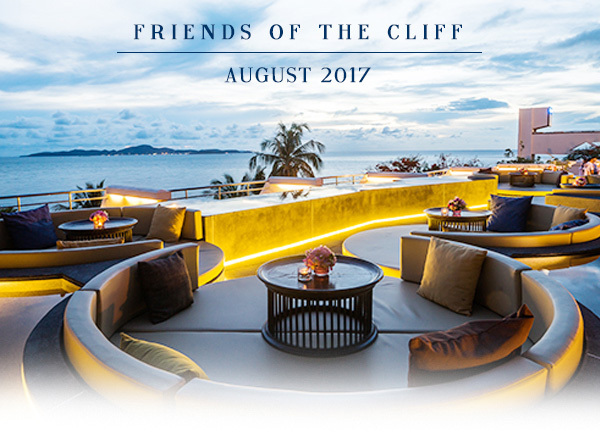 Refer your friends to subscribe to our Friends of the Cliff e-newsletter and automatically be entered into our lucky draw for your chance to win fabulous prizes.